Passion. The fruit is grown and cultivated in tropical regions all over the world, and its name and taste are infused in the soul and spirit of sangria. Recipes are merely suggestions and measurements should be felt, not followed. Passion is the life's blood of sangria and celebration. 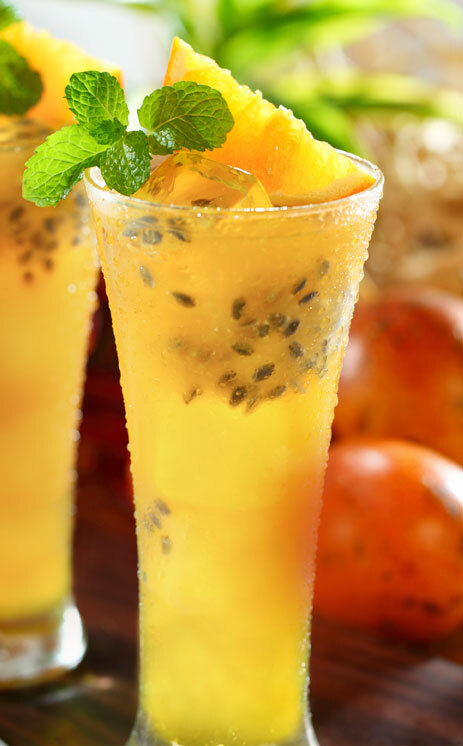 And so the passion fruit is the perfect addition to this tradition. Improvise! Spontaneity is the key to all things fun. It won’t hurt this recipe if you want to add orange slices, apple slices, lemon slices and a handful of blackberries. A generous shot of brandy is a common sangria addition. 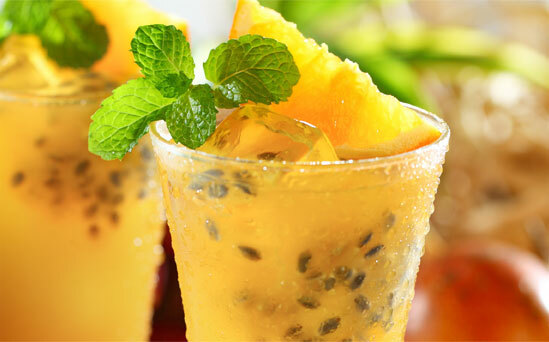 A glug or two of triple sec intensifies the fruit flavors. 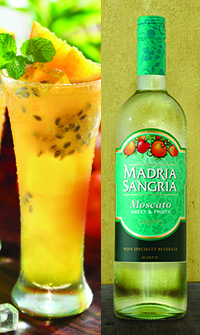 Dump a bottle of Madria Sangria Moscato into your very favorite pitcher along with the passion fruit juice, orange juice, sugar and fruit. Give it all a stir until the sugar dissolves. If time permits, let all the flavors steep and socialize in a nice, cold fridge. And when the time is right (the time is always right), serve it over ice and lively conversation.